I spent Saturday night tweeting for the inspiring Soldiering on Through Life Trust charity, and it was truly one of the most awesome evenings I can remember for quite some time. The charity was set up by someone I became friends with last year, and supports severely wounded members of the military and their families to live normal and worthwhile lives. Saturday’s dazzling annual award ceremony honoured a handful of people who have overcome devastation to become a huge inspiration for others. An Easter bucketful of celebrities co-presented the awards, along with senior military personnel and HRH The Duke of Gloucester – and we were showered with glittering performances from some of the UK’s finest entertainers. I was lucky enough to sit next the actor John Altman throughout the dinner – some of you know him as Eastenders’ Nasty Nick Cotton. There’s certainly nothing nasty about him in real life! He and his girlfriend, actress Diana Marchment, were delightful company and we chatted away all night, danced to the Ultimate Earth Wind and Fire, and applauded the remarkable winners. One of the most impressive recipients was a dog called EJ – yes, you read it correctly!! In fact, the award wasn’t really for EJ, although he gracefully accepted it jointly with his owner, Allen Parton, a veteran who suffered horrific injuries in the Gulf War. Allen subsequently set up Hounds for Heroes, a charity that pairs disabled ex-service people with trained dogs. Meeting EJ was quite an honour. I use the term ‘meeting’ quite loosely, as he showed no interest in me – his total focus was on Allen. If Allen falls ill, EJ puts him in the recovery position; he can use a cashpoint machine and do the shopping. Dogs like EJ allow disabled people to regain their independence and confidence – it really is remarkable! Although much of my week was focused on the awards, like most people I took time out on Wednesday to watch the budget. It reminds me a bit of the Muppet Show; I watched it at a local enterprise centre with a room full of people and fruit platters. The healthy lunch was in contrast to my preferred economy: the Mars Bar one. I first heard about this a couple of years ago as we drove through the Lake District, and for someone like me who doesn’t love numbers, it makes perfect sense. So here’s my explanation as a chocolate economist. (My accountant will be shaking his head in despair…) A Mars Bar contains staple commodities – milk, sugar, cocoa – and over time the value of those raw materials fluctuates, but the Mars Bar remains intact. So it provides an excellent measure of economic comparison over time. I’ve borrowed these examples from a FT article as they illustrate what I mean with perfect precision. My friend Emma drives a mini – a car which enjoyed an image makeover a few years ago and now comes with eyelashes. Between 1940 and 1980 you could but one for 20,000 Mars Bars. Today that cost has risen by over a third to 32,000. Also in 1940, a graduate could expect to earn 33,000 Mars Bars a year; today’s students will be pleased to know they can now get 52,000 – reach for the stars, eh?! The cost of train travel has dropped over 50 years from 50 to 35 Mars Bars, but the price of a roast beef dinner in a top London hotel has jumped from 24 to 39 Mars Bars. I guess after that I should be telling you that you can grab an early bird ticket for my next Plain English Business Writing training session for just 152 Mars Bars – but not sure Eventbrite accepts that particular currency!! Ultimate Earth Wind and Fire told us on Saturday, “Every man has a place, in his heart there’s a space and the world can’t erase his fantasies. Take a ride in the sky, on our ship fantasise – all your dreams will come true right away.” Sometimes we have to change our dreams, but The Soldiering On Through Life Trust helps people who need that extra support to achieve theirs. 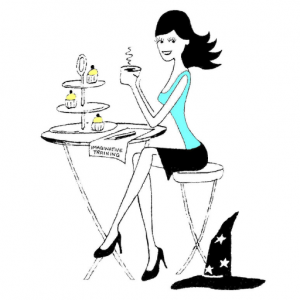 I’m happy to introduce you if you’d like to know more, ask me here: @WeekendWitch.